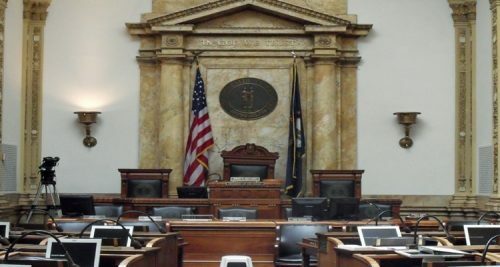 Efforts to see casino gaming brought to the state of Kentucky will be revived next year as one Senator has already pre-filed a new casino bill. Lawmaker Dennis Keene feels that the atmosphere is more receptive currently which could help see the state pass a measure to begin providing casino games. According to WCPO Cincinnati, Keene has pre-filed a measure to see as many as four casinos created in Kentucky. Horse racing is already on offer in the state and Keene feels that the pari-mutuel properties and new casinos would be able to provide a nice variety of sports betting options. Sports betting is now a common topic of conversation as the state of New Jersey is involved in a case that is being reviewed by the United States Supreme Court. A decision on Christie vs. NCAA is expected to come next year, and if the court rules in favor of NJ, it would open up sports betting to every state that choose to offer the gaming options. According to Keene, now is the right time to consider gaming. Kentucky is currently one of 10 states that does not have a casino on offer. The state does offer an online lottery industry. The issue of casino gaming has come up in the past in Kentucky, but according to Keene, there has not been enough "political courage" to pass a measure.